Sizzle this summer with 28+ new patterns. 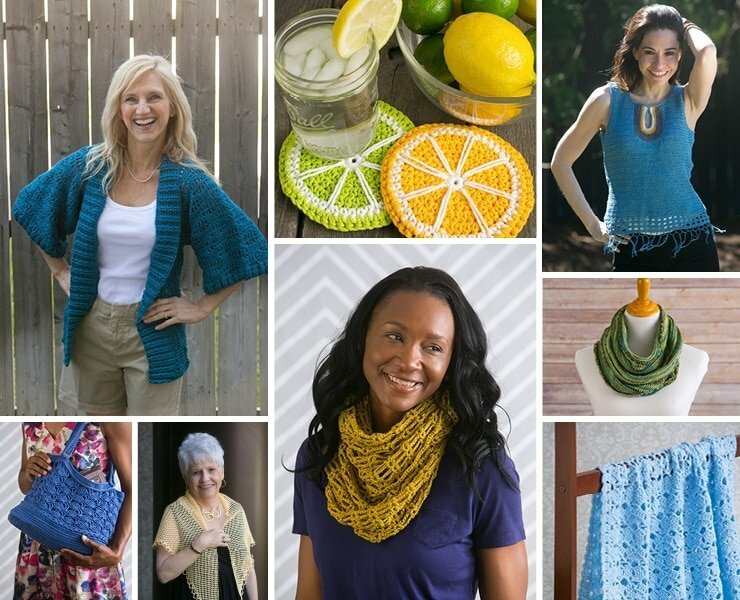 The August issue of I Like Crochet is loaded with some of this summer’s hottest patterns, including the Pineapple Cardigan, the Moonlight Mobius, the Breezy Mesh Cowl and the Playtime Picnic Set. Simple summertime accessories, like the Mint Cream Tote, will make sure you’re set for summer, and the homemade housewares section has everything you need to brighten up your home with sunny accents and décor. From easy breezy summer tops to fun in the sun wearables for the little ones, this issue has something for everyone! Grab a copy today! Subscribe Today! 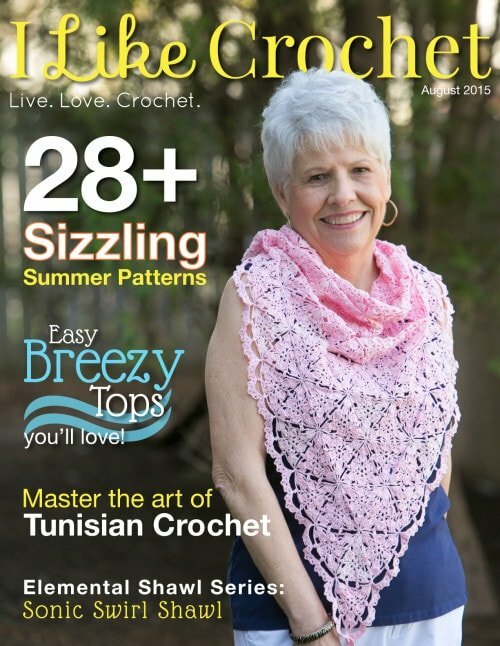 to receive the latest issue of I Like Crochet on your iPad or your Desktop.